Good thing the deadline was yesterday….I have no complaints! 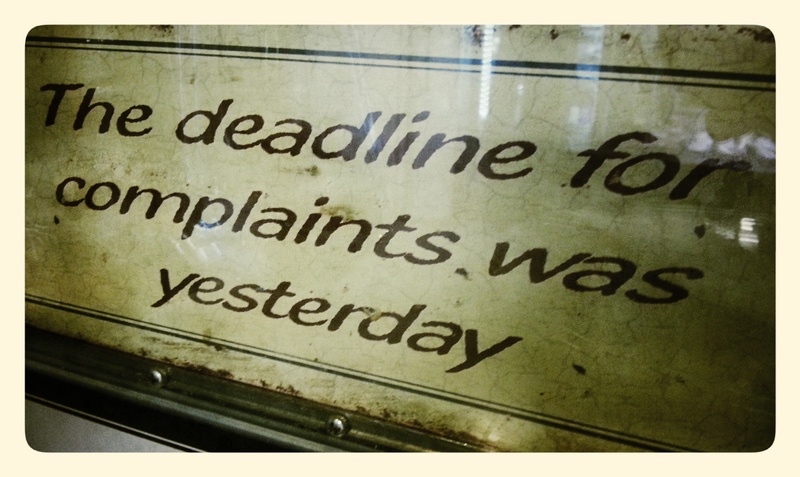 I spied this sign yesterday at my new favourite lunch spot–Roslund. I can’t imagine that they’d have any complaints at all because the food is fabulous. But, this sign also resonated with me for other unrelated reasons. I’ve found that by holding off on immediately reacting to situations, things seem less dramatic, less pressing and dare I say less annoying. Even if something is troubling or a bit of a concern, mulling it over or letting it lie helps. At least that seems to be the trend as of late. Plus, given that I had several large and looming deadlines this past Monday, I loved the whole ‘deadline’ synergy. Today brought another little bit of simple pleasure to my world. A friend of mine who lives in Pennsylvania has been torturing me the last several months with pictures of mouth-watering mounds of pastrami. 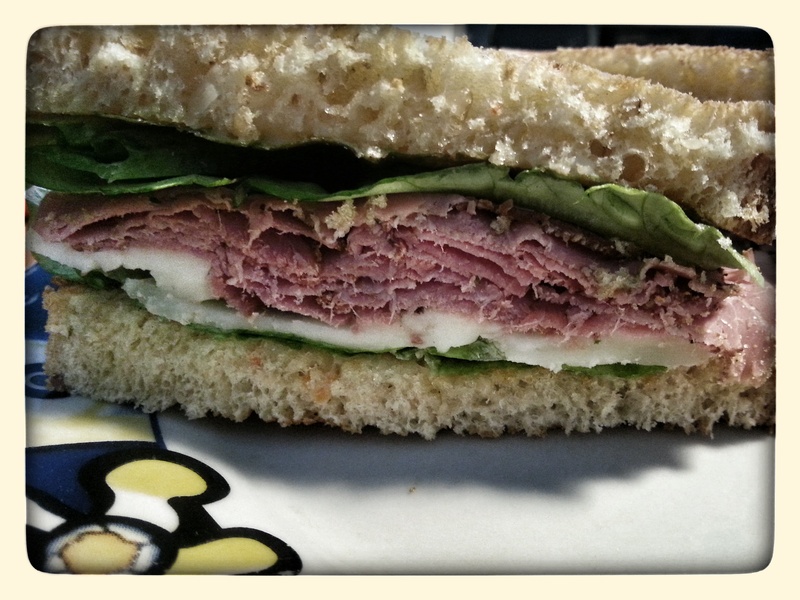 Not intentionally torturing me, but… each photo reminded me of just how much I love pastrami. Pastrami. I miss pastrami. Desperately. For lunch today, I made myself a sandwich. Just a simple little sandwich. And, I swear, I nearly cried it made me so happy. There is nothing quite like a big deli sandwich in my book. Today’s may not have been quite the same height as a pastrami on rye from one of my favourite haunts in New England, complete with fresh rye bread, fresh and not swimming-in-sauce cole slaw, crispy fries and deli pickles. But, oh… pastrami. How I love thee. Nope. Not a complaint in sight. Regardless of the deadline for their submission, I have no complaints at all.